We thought last week was going to be easier. The NRL teams collectively between them decided to put on the most intriguing round in ages, so everyone’s tipping was ruined of course. Round 22 looks equally as simple on the surface, with The Roar‘s NRL expert tipping panel in agreement most of the way around. Although, there was one winner. My continually ordinary tipping would have continued if not for a slew of upsets, so I’ll take the win on five. Everyone else, including The Crowd, had three our four. It doesn’t do much to the overall leaderboard with The Crowd still ahead of AJ by one and Tim by two. That crazy last weekend saw a Sunday afternoon of points, the Rabbitohs beating the Storm and the Warriors beating the Dragons, while a boilover also saw the Bulldogs beat the Broncos. Round 22 gets underway with a derby of the Queensland sides when the struggling Cowboys host the inconsistent Broncos. Friday will take us across the ditch first up as the Warriors host the Knights in Auckland, before the game of the round sees the Rabbitohs and Roosters go head-to-head in a top-of-the-table battle. The Titans will then try to put the Panthers through as much pain on the field as they have been through off it, before Manly host the Bulldogs and the Dragons try to turn their stuttering form line around against the Eels. Sunday last week brought us plenty of points and this time around may be no different with the Raiders playing the Tigers in the nation’s capital and the Storm hosting the Sharks – that second game may not have as many points as the first, of course. I almost gave myself a promotion to start this week, but given I’m running last, I’ll hand over to AJ. This is a brutal round to tip. But enough complaining, here’s what’s coming. North Queensland will stand up to Brisbane in their regular classic matchup. The Warriors will take the points against Newcastle but it will be close. Souths and the Roosters are settled in the top four – why would they risk going all out and showing their hands against a fellow title contender? Roosters with the win as both teams go through the motions. Penrith must win now. 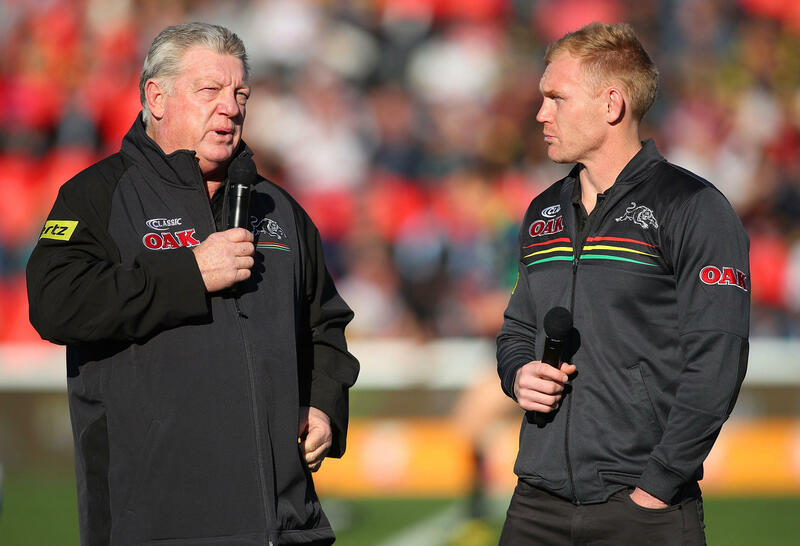 Phil Gould’s job is depending on it. Gold Coast at home are a tough matchup, but there’s more riding on this for the mountain men. Canterbury will beat Manly, not that anyone cares. 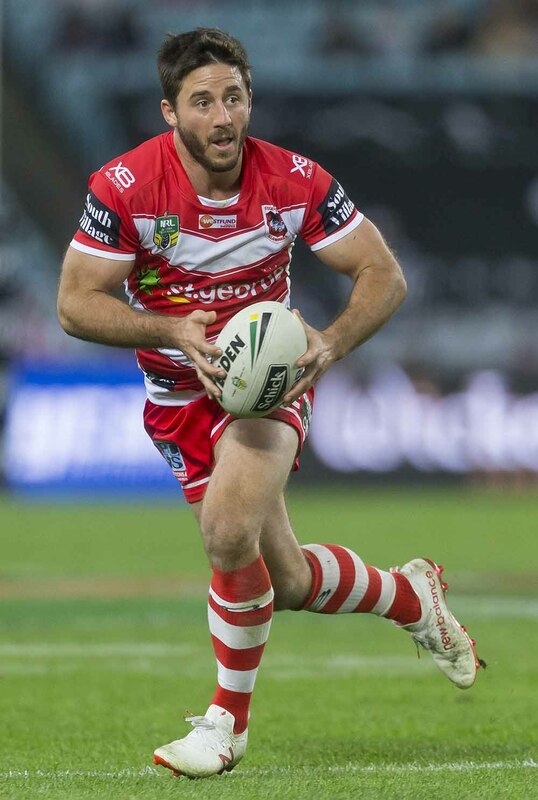 The Dragons got away with one last time against Parramatta and they will have another tough one. If they’re half serious about season 2018 the Dragons will win. The Storm will beat Cronulla, but it’ll be one ‘for the purists’. Let’s deal with this one last – Finally, the stupid Raiders will end the snuff out the Tigers’ finals hopes, in the process tipping kerosene on the ‘Cleary is available’ bonfire. Broncos are a bit shaky but I reckon they can take the Cows. However, the Cowboys hate the Broncos so it could be a case of who knows. The Rabbits vs the Roosters is the game of the round. The Rabbits form last week was so good and a little hard to go past. I think their pack is too good for the Roosters. The Panthers need to win and win big against the Titans. I think they will with Maloney and Cleary going off and big Campbell-Gillard charging through the middle. The Sea Eagles really don’t want the spoon and beating the Bulldogs should seal that deal. However, how good were the Dogs last week? And Klemmer is back. Still going Sea Eagles but. The Raiders will continue their hoodoo over the Tigers with a decent win. I see lots of points in this game with the Warriors desperate to stay in touch with the eight. This will end that. I reckon Smith won’t play. If he doesn’t play then the Sharks will win. They need to win after their crappy loss to the Sea Eagles. Just a hunch here. For those of you who followed my Rock Solid tip last weekend and parted with some hard earned – you’re welcome. The Sea Eagles never looked like losing. And in a vain effort to chase that winning feeling, I’m going to break with tradition and open with Tom’s ‘Rock Solid’ tip of the week – the Titans to thrash the Panthers. Many have speculated that getting the Griffin off their back will free up the Panthers to recapture their early season form. I think that’s fools Gould. Penrith have relied on an unsustainable pattern of silly buggers, letting teams get out to outrageous leads before running them down at the death. I’m predicting the Gold Coast shoot out to an early lead and go on with it. Friday night football sees a finals bound Warriors squad taking on an under-strength Knights outfit. With little to play for, it’s hard to imagine Newcastle getting up for this one, but that makes it precisely the kind of game that New Zealand normally loses. I’ll give the Warriors the benefit of the doubt, but I’d advise fans across the ditch with heart conditions not to watch. In the game of the round, the Bunnies host the Roosters in what could very well be a grand final preview. Both teams are hitting their straps at the business end of the season, but I’m backing the South Sydney forward pack to give them the edge. Cook is in irresistible form, while the absence of Keary will prove too much for the Roosters to overcome. The Broncos will dismantle the Cowboys in JT’s final appearance in this legendary local derby, Manly will make it two straight with a scratchy win against the inconsistent Dogs, and the Red V will keep their top four hopes alive with a victory over Parramatta. Not even the Dragons could choke on a slippery Eel. And in the Sunday games, I’m backing the Raiders to simply score too many points for the almost extinct Tigers, while the Storm will regain the momentum in their finals push with a gritty, ugly, Gallen-looking win over the Sharks. I’m rolling. Getting five last week seemed to be just about impossible for everyone else, so let’s see if I can’t keep that flukey effort going this time around. And to be fair, I’m probably destroying myself from Thursday night. The Cowboys are at home and always seem to rise for Queensland derbies against the big brother Broncos. However, I’m going for Wayne Bennett’s men because they have been inconsistent all year. A loss last week means a win this week… Right? Wrong? Right. No, it’ll happen. You just wait and see. Rolling right onto Friday, and the Warriors losing in Auckland with so much to play for seems impossible. They will beat the Knights, but then, they will be haunted by their loss to the Titans a fortnight ago which may have poured cold water on the fire that was their finals hopes. I tipped the Rabbitohs last week and I see no reason to change in another game of the round for the men from Redfern. They beat the Storm, turning around a fortnight of poor form and will be keen to make another statement ahead of the finals against the still not perfect Roosters. The Panthers smacking the Titans should be a no-brainer, but with Anthony Griffin leaving the club, it’ll be intriguing to see how the players react. The Sea Eagles will then beat Canterbury for the who cares cup, before the Dragons attempt – and should do so – strengthen their top eight position with a win against the Eels. Parramatta are playing slightly better footy in the last few weeks, but there are no excuses for the Red V at this point. They must win, with or without starting prop Paul Vaughan. I’ll take the Tigers to keep things running in the nation’s capital with Benji Marshall and Robbie Farah to come right to the fore, before the Storm beat the Sharks by virtue of having the best players in the game, being at home and still having a heap to play for. Crowd tipping will close at 5pm (AEST) on Thursday evening. Be sure to submit your tips on the form below before then to make your opinion count as part of The Crowd.